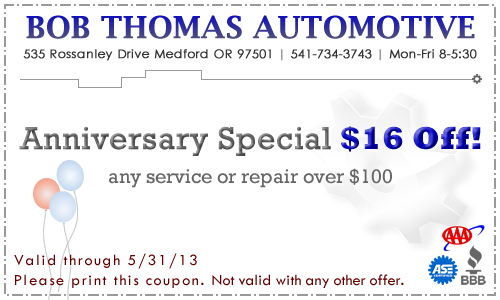 Get your next full service oil change for only $16! Up to 5 quarts of regular oil and filter. Not valid with any other offer. Save with this coupon any time during the month of May.